Samsung has shown off a N150 netbook with Long Term Evolution (LTE) at Mobile World Congress, with a chip designed in-house allowing a more portable offering with this next generation mobile technology. LTE is causing much excitement, offering what is widely becoming called 4G connectivity for mobile devices, and Samsung is keen to be at the forefront of the technology. To that end they have designed an LTE chipset called Kalmia, which has been integrated into the N150, a netbook that currently sports 3G and Wi-Fi versions and will only get the LTE technology 'according to service schedule and market demand'. "For the first time, operators preparing for the deployment of next generation networks can deliver high-powered products to showcase network strength and the true benefits to end users," states Samsung. 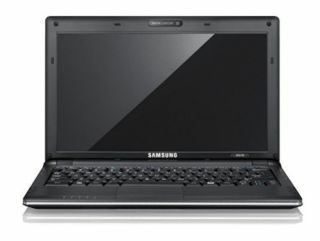 The showcase also highlighted the N150 itself, a netbook Samsung claims as the complete package for those consumers seeking a portable netbook. "The N150 is the smart choice to meet all your essential mobile computing needs with style," said Kyu Uhm, Vice President of Samsung IT Solutions Business. "We see increasing demand for data services, regardless of whether the consumer is indoors, outside, or even on the move. With our end-to-end Total Solution from core chipset to a variety of devices, we are providing true value to our customers." Samsung is also showing off its LTE dongle – the GT-B3710 – and states: "Samsung has developed its own access and core networks, which support multi-vendor interoperability. "Samsung's LTE solution is fully compliant with the latest 3GPP LTE Rel-8 standard. Initial deployment of the service began in 2009 and active discussion and trial tests will continue in 2010."